I could see that the recently concluded Olympic Games could still get locals quite animated and critical of the event, blaming the government on everything from poor planning to wasting money. 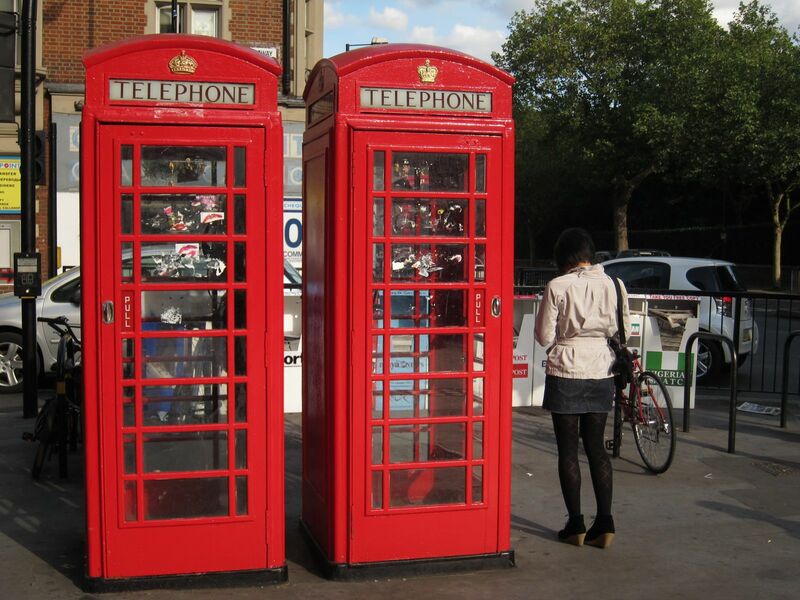 The positive fall-out though is the ubiquitous telephone booths, Trafalgar Square, and several other London sights are brighter with their recent face-lift. 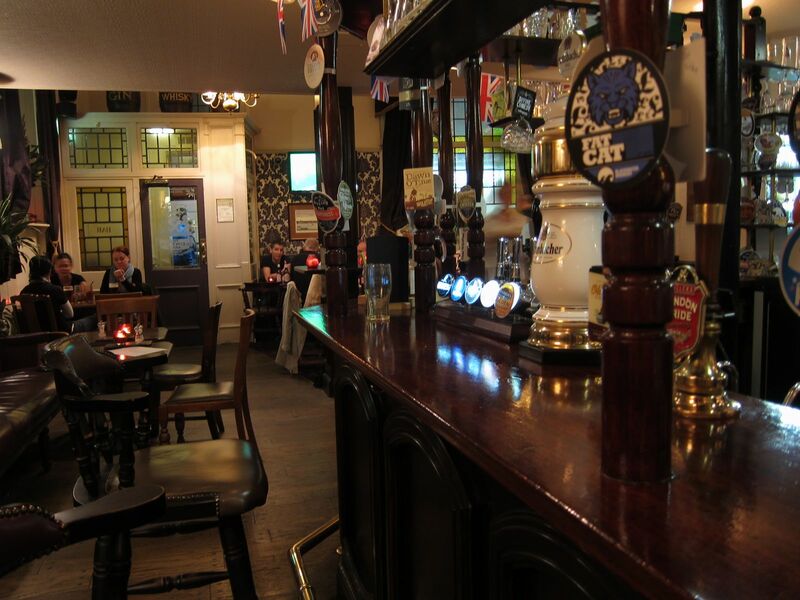 Nothing like a London pub to catch up on some local food. I had wanted to try a traditional Sunday Roast but they had run out of that. So, I will have to find another weekend at London to try the meats, Yorkshire pudding, stuffings and gravy that make up this traditional British meal. 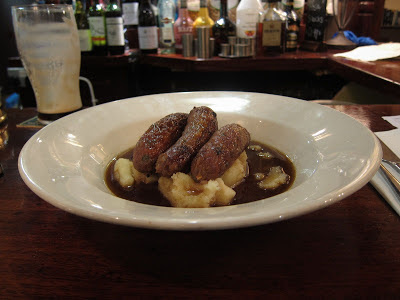 I ordered some sausages and mash as I downed large gulps of Guinness. What is not to like in a plate of sausages over a large scoop of mashed potatoes surrounded by a lovely gravy? 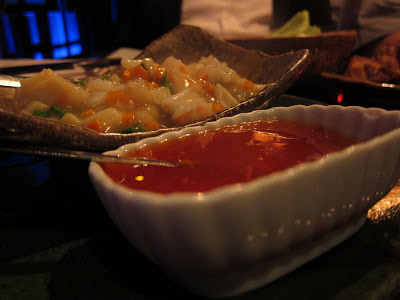 An interesting place I visited was Alounak in Bayswater. 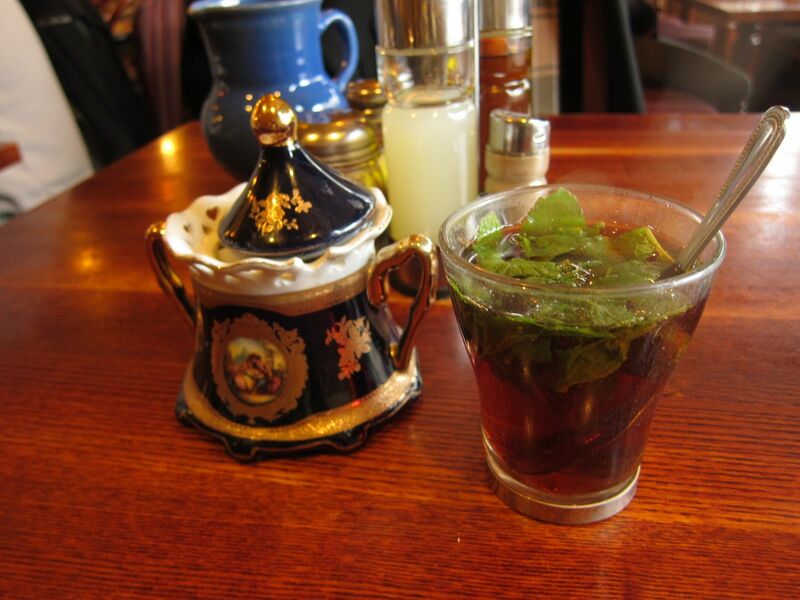 This small Iranian restaurant serves up some amazing Persian fare. 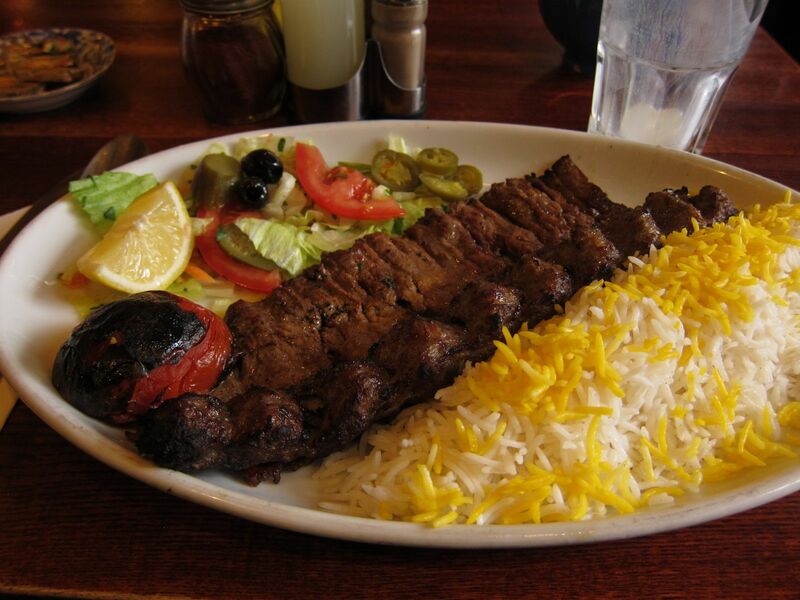 The Chello Kabab Makhsoos was two skewers of lamb - one minced, another marinated chunks of meat, both grilled to perfection and served on a bed of butter rice and grilled tomato. The Mirza Ghassemi made with char-grilled aubergine, garlic, fried onion and tomatoes was smoky and delightful as was the cup of Doogh butter-milk. I finished with a steaming cup of Iranian mint tea before braving out into the rains once more. I tried some of the finer dining options in this area too. 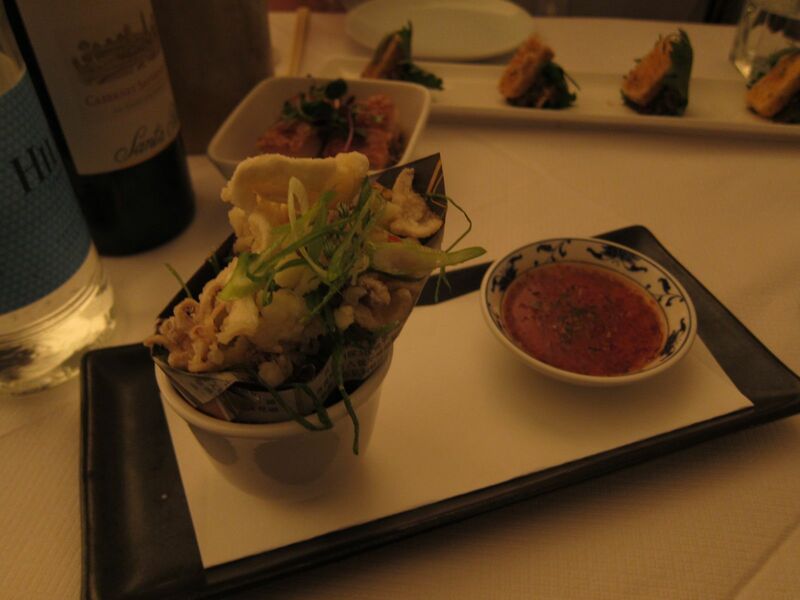 One was E&O, still considered a benchmark for contemporary and cutting-edge Pan Asian cuisine in London. I loved the chic black and white interiors. 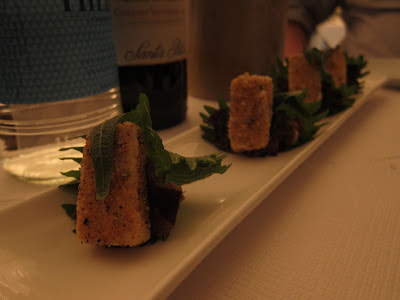 The food was exciting too! We tried several small plates: A soup of miso, tofu and wakame, chilly salt squid, crisp pork belly with black vinegar, chilly tofu and nasu dengaku, and tempura of rock shrimp and ponzu. It was quite a medley of exquisite flavors and textures of the palate. I also remember the interesting dessert of Strawberries, vanilla ice-cream with black-pepper and tuille. 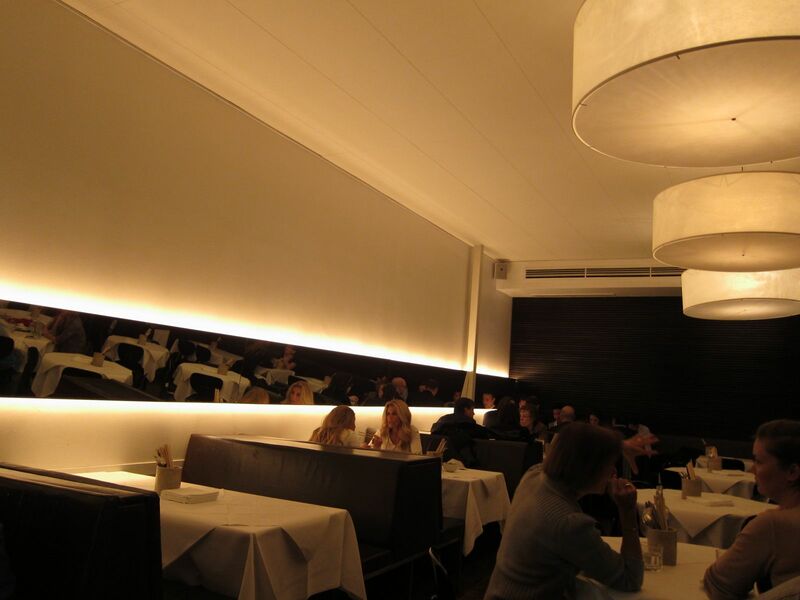 The next day we were at another Notting Hill restaurant, Seventeen. This one specialises in an authentic Chinese fare. 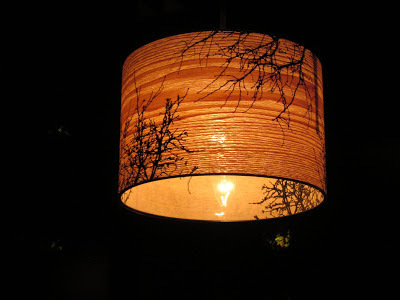 This restaurant too had an interesting decor with paper lanterns, low seating, dim lights; but it was the food I will remember most! 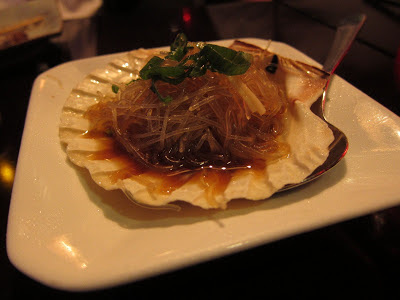 The steamed king scallops with glass noodles and garlic was very good. So was the Clams with noodles and soy. The Chongqing Chicken with Dry Chillies was lovely. But what monopolised everyone's attention immediately was the fish. 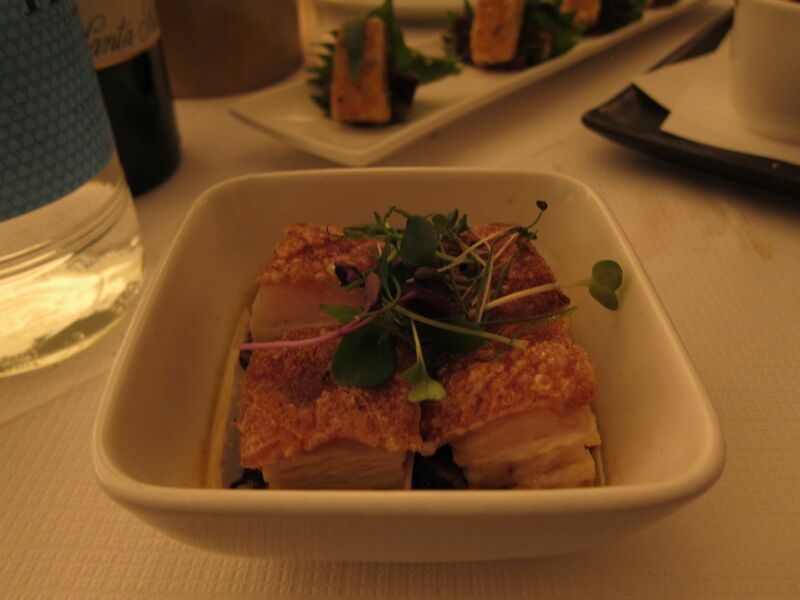 Oh what a heavenly fish dish that was! 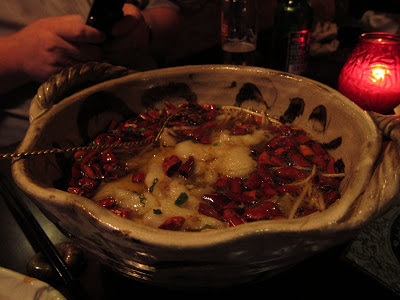 Cooked Szechuan style, the white fish had been flash-cooked in hot chilly oil and was served family style in a large porcelain bowl filled with an oil-based soup with red chillies that was both deliciously pungent and fiery! 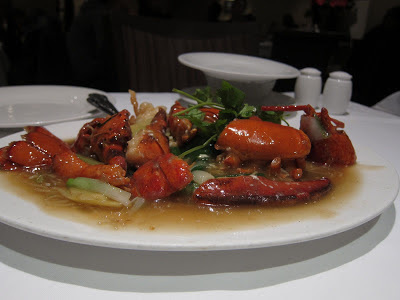 One other place I tried was Mandarin Kitchen, another Chinese restaurant near Kensington Gardens which serves a fabulous lobster dish. All you want to order here is Lobster with soft noodles. 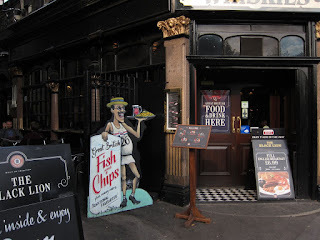 As you can see, other than for the very British bar-food, I gorged on Asian cuisine this time in London. Which is quite appropriate given the great many immigrant-run restaurants in this city capable of dishing out the most authentic or the most cutting-edge Asian food at a moment's notice. 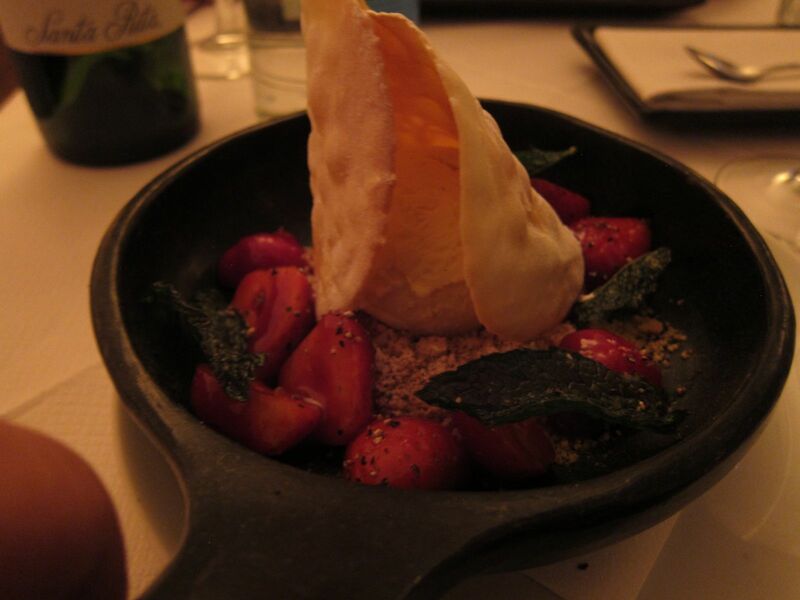 I remember one of my Indian colleagues saying the best Indian food he's ever tasted was in a London restaurant too! Wonderful! London is my dream destination, and "London and food" sounds superb! @Renuka: I still have a lot to discover in London. But this a beginning! 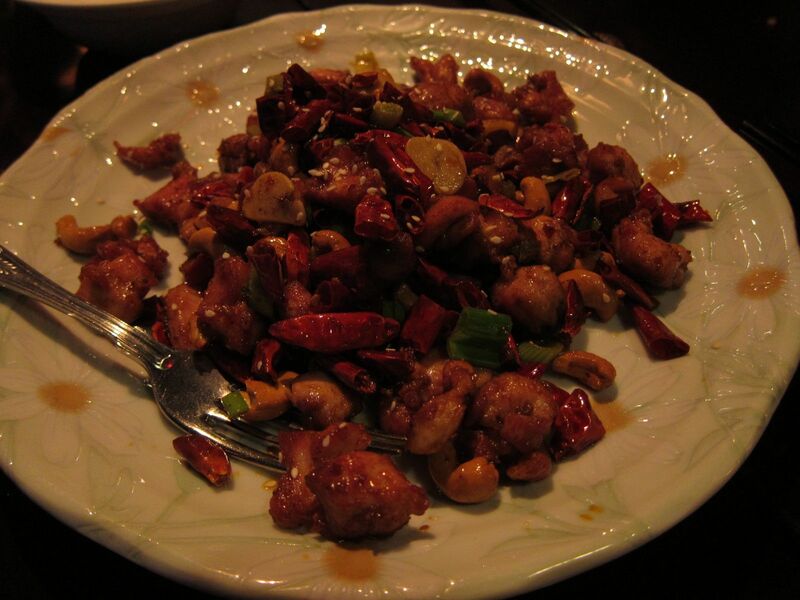 Your photo made me jealous and hungry. Keep posting more and more photos and make us ravenous. This food is looking delicious! i am feeling hungry.